Full of flavour, this salad is a vegetarian's paradise! 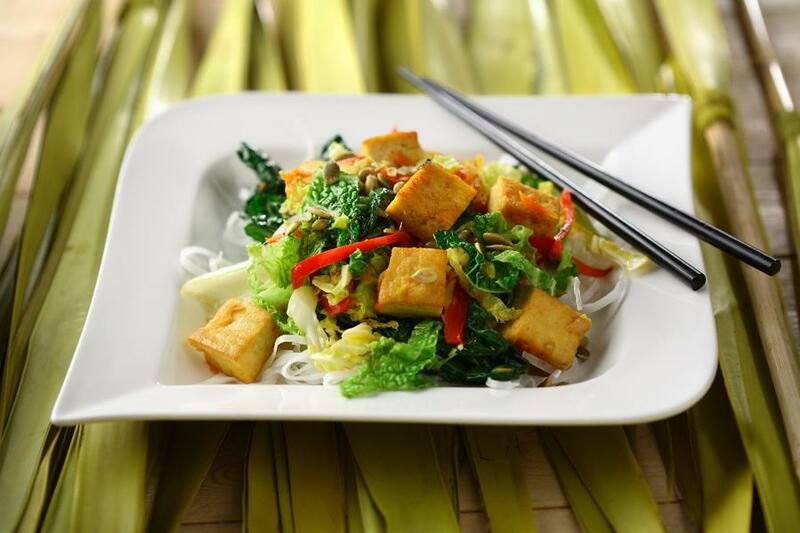 Tofu makes this a salad that contains protein, yet still vegetarian friendly. In a saucepan or wok over medium high heat, add 2 Tbsp (30mL) of canola oil. 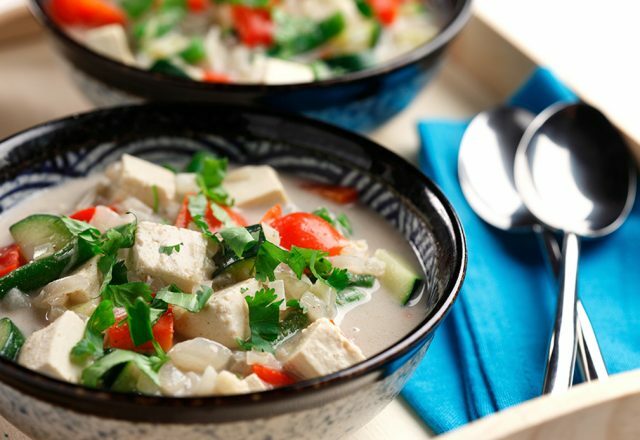 Carefully add tofu cubes and sauté until nicely browned. Remove from pan and set aside. Add the reminder 2 Tbsp (30 mL) canola oil to the pan. Add onions and garlic. Sauté for 1 – 2 minutes until the onions are softened. Add cabbage, baby bok choy, carrots, red pepper and reserved tofu. Continue to stir fry for 3 -5 minutes until vegetables are heated through. In a small bowl, mix soy sauce, fish sauce, seasoned vinegar, sweet chili sauce, miso paste and ginger together. Pour over vegetable and tofu mixture in the pan. Mix well to ensure that vegetable tofu mixture is covered. Serve over warm rice noodles and garnish with toasted seeds.